This was a project I did during my second year of college where we were allowed to write our own brief based around any area of location photography we wanted. 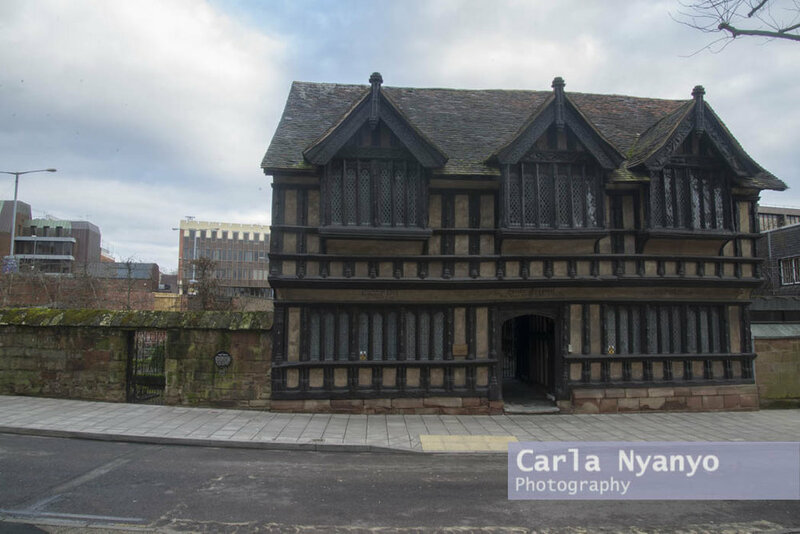 So I decided to try my hand at architectural photography and document historical buildings in Coventry. This was a challenge to say the least, in more ways than one! I chose to focus on city centre buildings which was probably the root cause of all my problems. As you can imagine, this is the most built up area of the city and so it wasn't always possible to take the photograph from the angle I wanted to because there was another building where I wanted to stand. Also, buildings are large! I didn't realise how large until I had to work out how to fit them into the frame of my view finder. Even using a wide angle lens I found that I had to stand quite a way away. And finally, finding a time when there were no people around meant having to get up and be out by 7am(ish) which, in cold weather of winter, is not a pleasant experience. And thinking about it now, if I was going to do this again I would just go with it and have people in the images. The buildings are in the busy city centre after all!